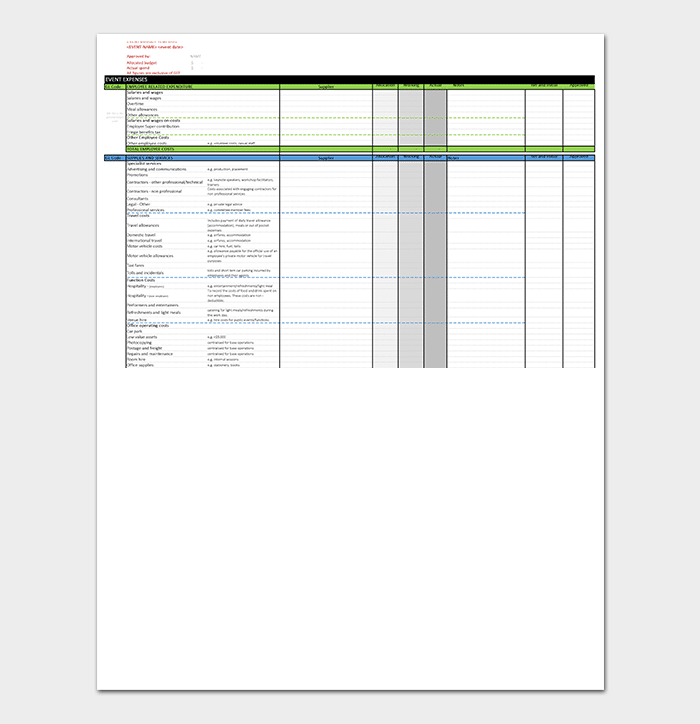 Proper planning is one of the things that makes an event successful. 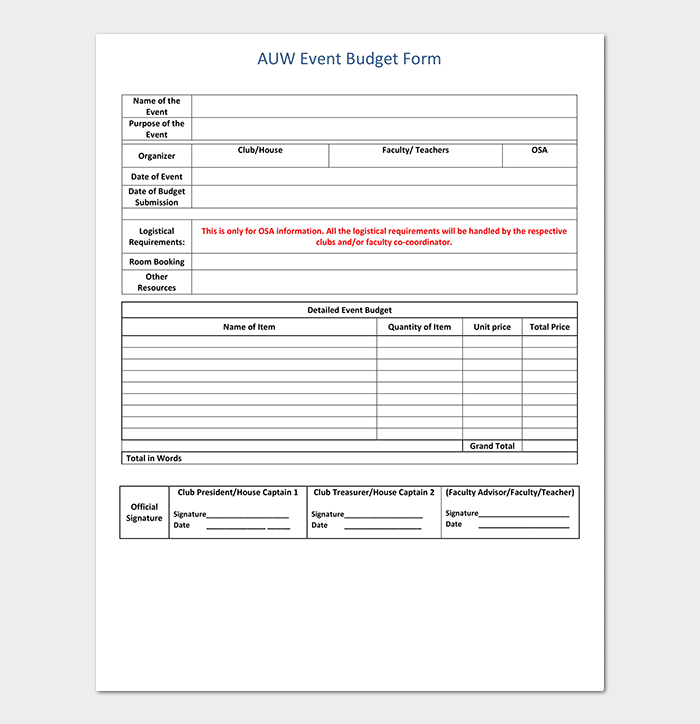 When you plan, you will need to consider the budget needed for the event. However, some things might come up, and you’ll end up spending more than you expected to spend. For instance, your sponsors might end up giving you less money, which can take you a step back. 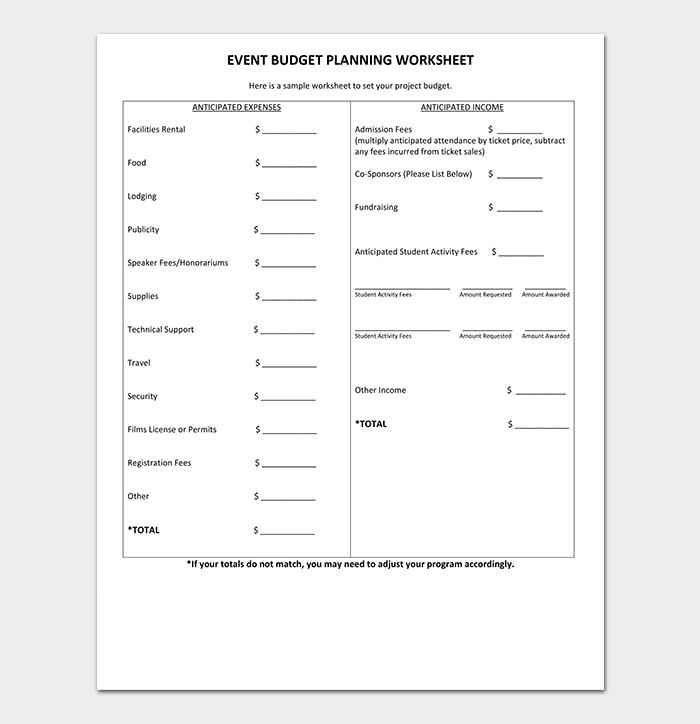 Luckily, an event budget template will help you plan well and make the entire event budgeting easier and achievable. 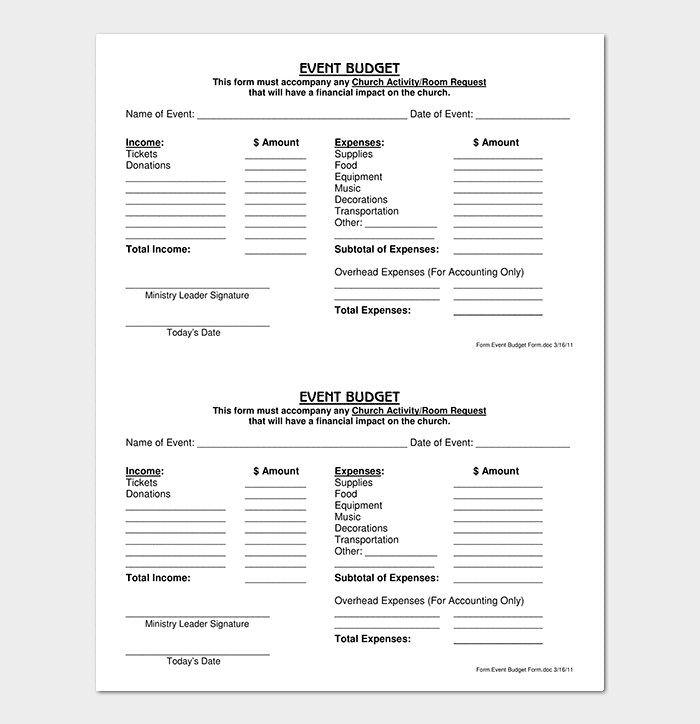 This is an app/software that helps you to organize and manage the budget for your upcoming event. 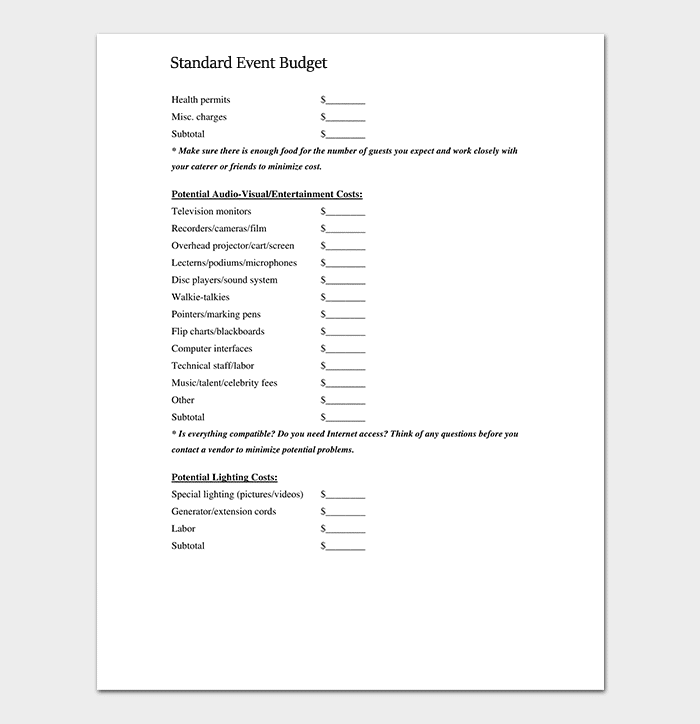 It gives you an easy time to know how much you will spend and how much you’ll save in the event. 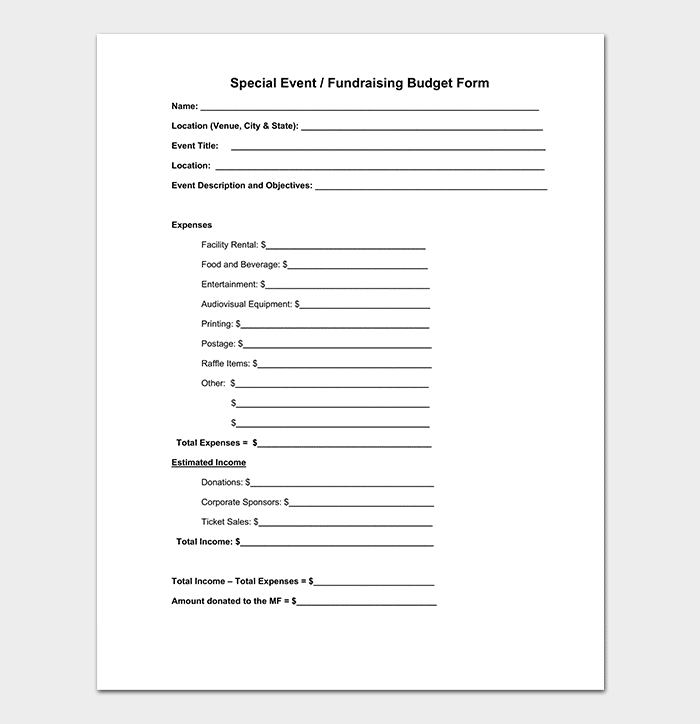 This is a draft that is developed to request for funds from other people with an aim of getting enough money for an event through a fundraising. 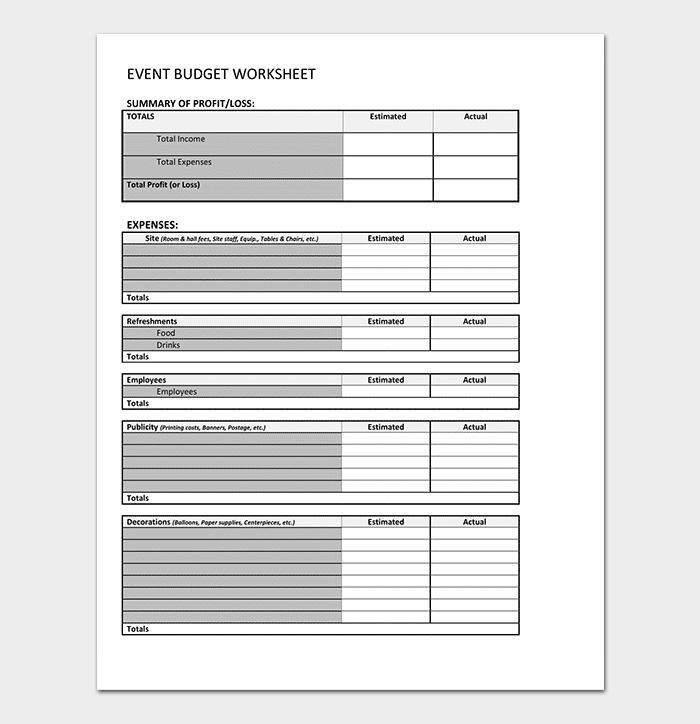 It helps you to make your event a success, especially if you didn’t have enough money to organize it. 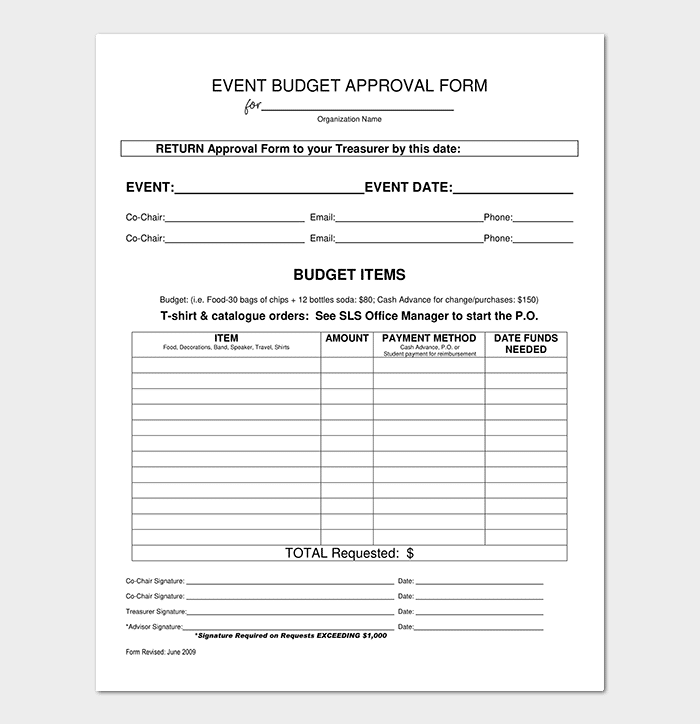 This form is usually filled and submitted to an organization requesting money to organize the event. 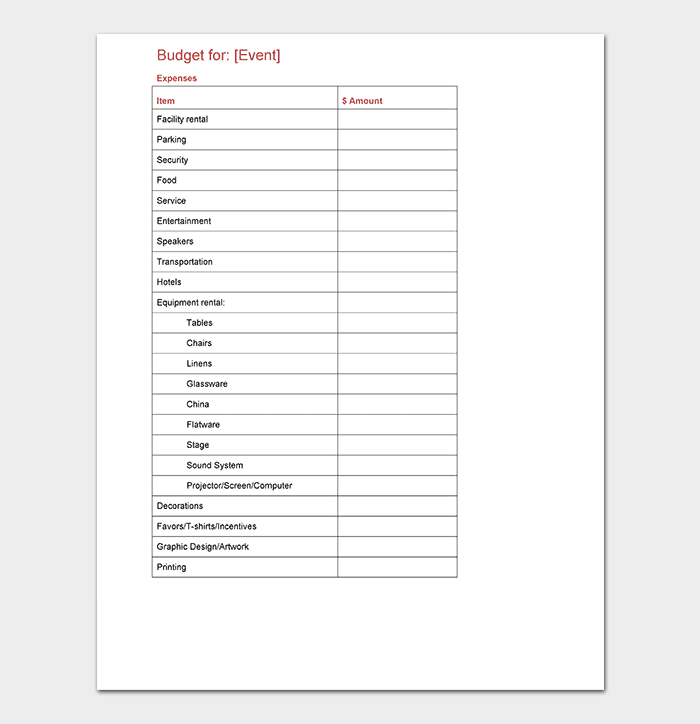 Usually, you will have to mention how you will account for that money and why you need the organization’s support. 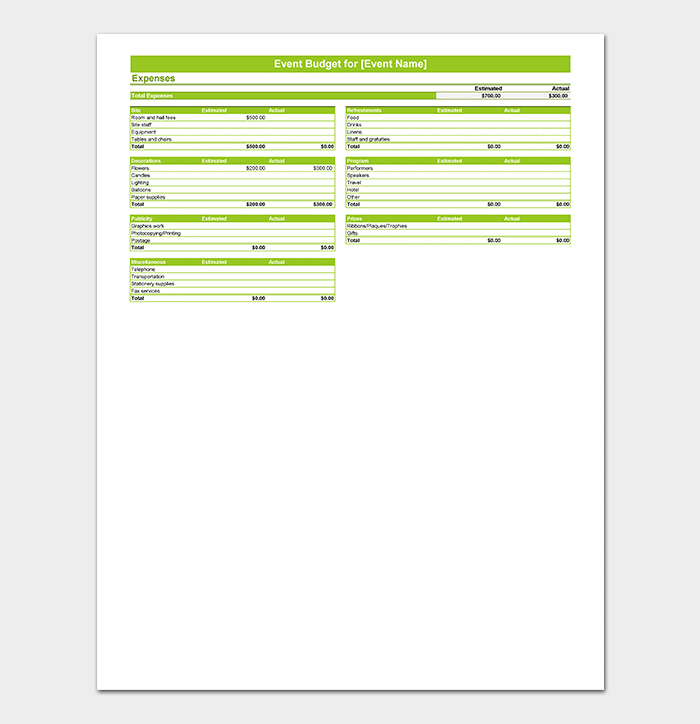 Typically, this is the Microsoft Excel form, where you will fill in the details of your event budget. Organize the venue early. 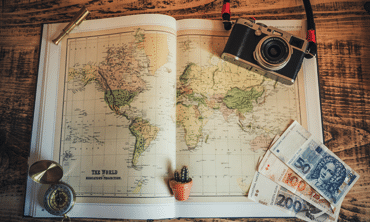 The venue is one of the most important things you should consider since there is where your visitors/attendees will come. 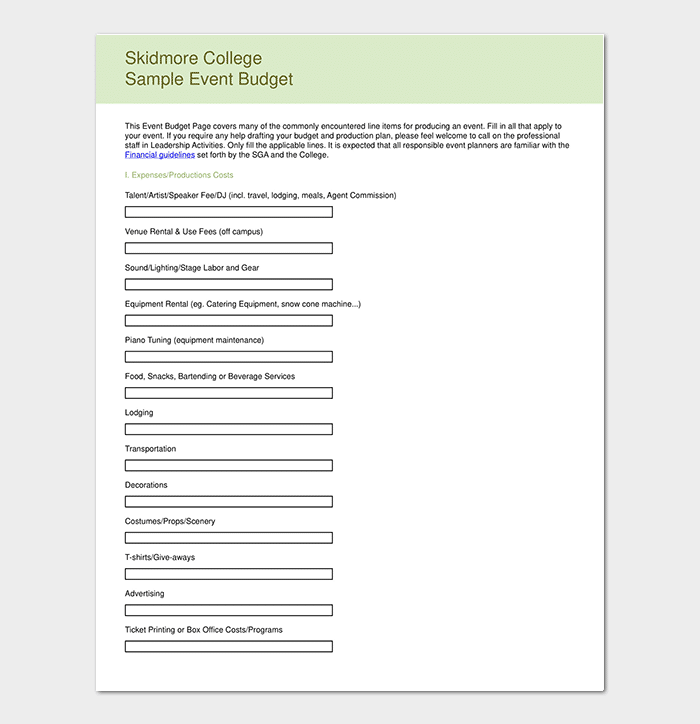 Estimate the catering costs. 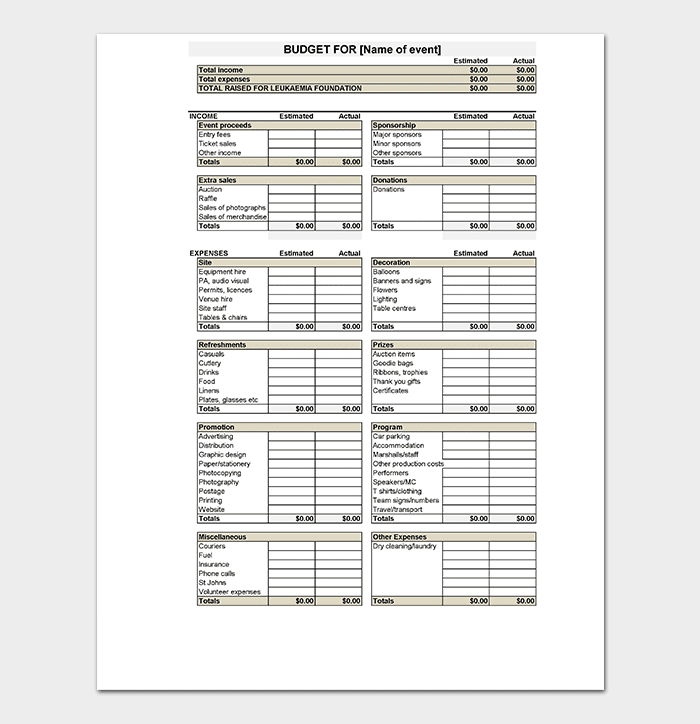 If you will be serving foods and drinks, ensure that you include them in the budget in advance. Cut down the fliers’ costs. 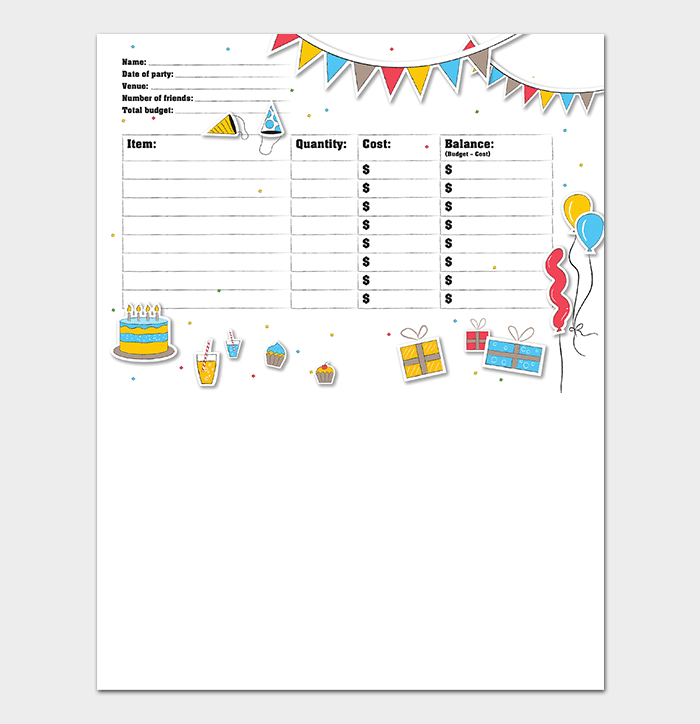 Instead of printing multiple fliers, simply send the invites digitally. This would save you a lot of money. Don’t forget the décor expenses. The place must look presentable enough – to ensure that the décor costs are catered. Invest in an internship/volunteer program. 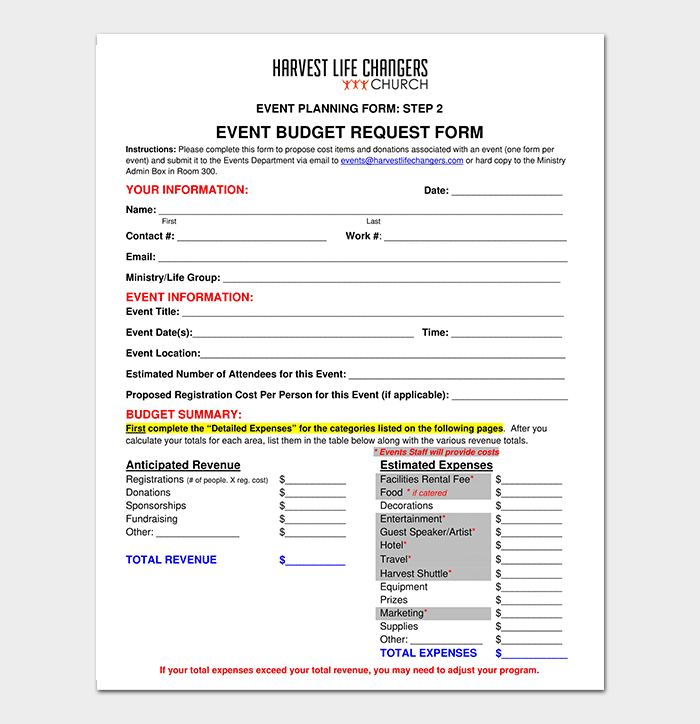 Having volunteered at the event can help to save money you’d use to hire workers in the event. 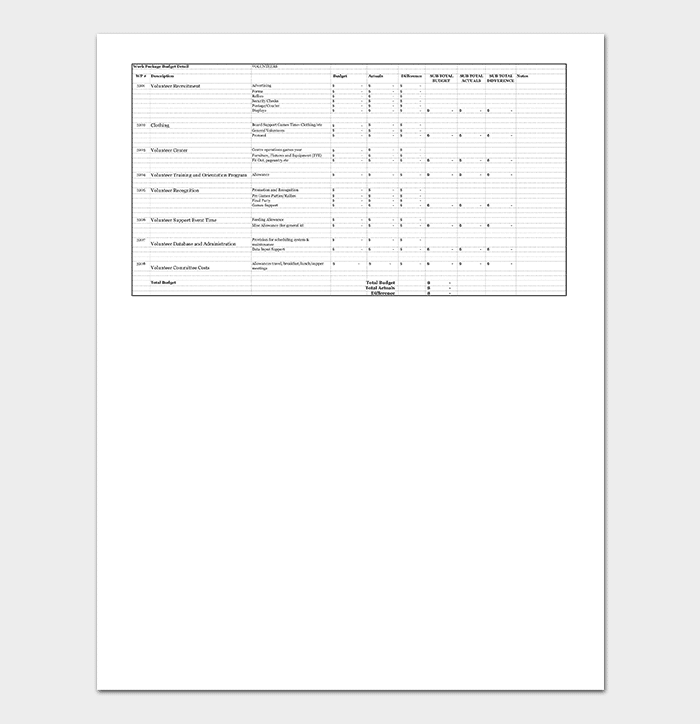 Include PA and entertainment fees. Any event should have good PA equipment and some relevant music. 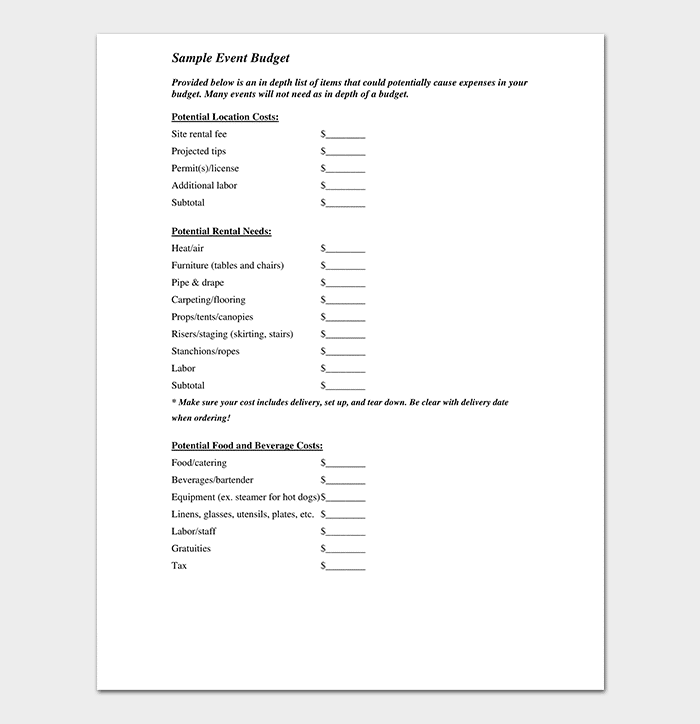 Here is where you’ll need to decide if you’ll need a DJ, speaker, or any other entertainer. 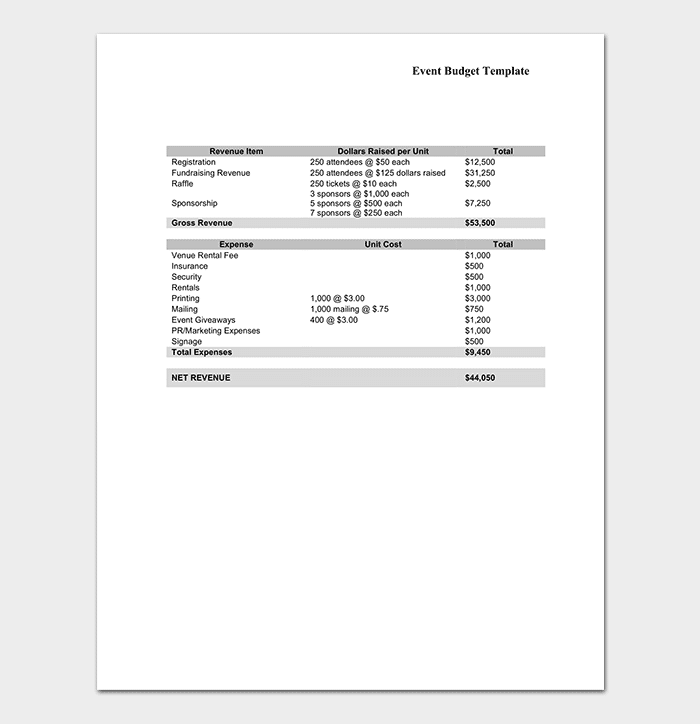 Summarize projected and actual expenses. 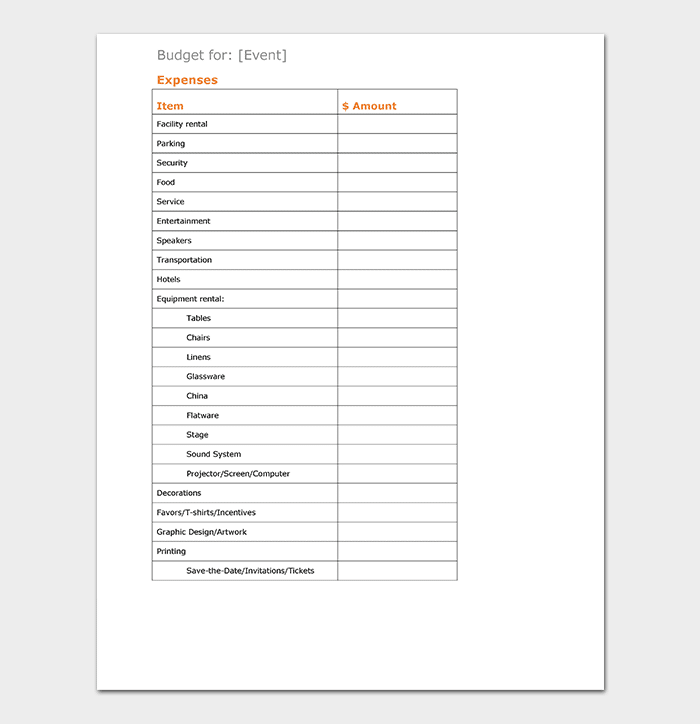 Doing this will help to know if you are short of money, or if you’ll need to request for more from other sources. 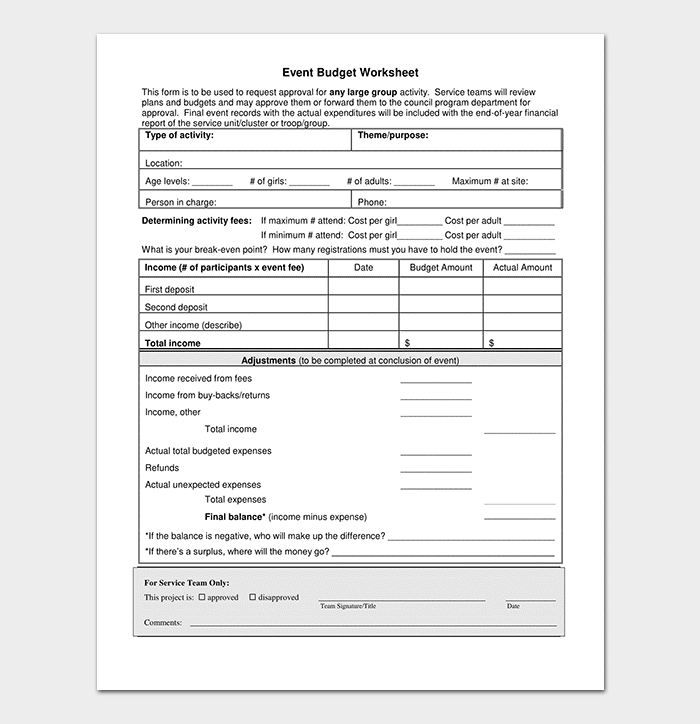 An event budget planner will give you an overview of how much you will be spending in the end, and how much is readily available. Always ensure that you design it professionally.